I’m glad to see this post! 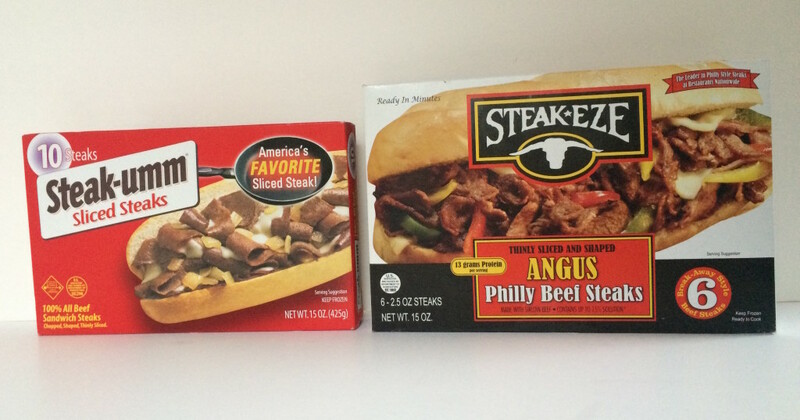 I loved Steak-umms as a kid, and sometimes when I’m grocery shopping I eye a box, but I’ve thus far passed them up. Seems like a good choice to just let my happy memories of them remain. YOU’RE BACK!!!!!! I’M SO HAPPY!!! Steak ease are superior by far. 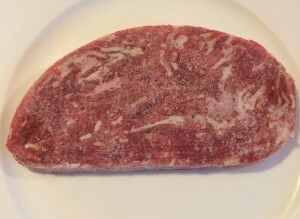 Steak ease is real peices of chopped up steak and pushed together just to be frozen. 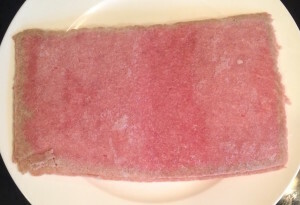 The steak um is like pink slime formed into a rectangle shape. I ate Steak umm as a kid and have fond memories of making the sandwiches as an after school snack, but they got wayyyyy smaller and thinner over the years. Unless you are 46 like me, you wouldn’t know how much it changed over the years. You could actually see the meat through the box back in the day, but not anymore. Choose Steak-Eze instead!